2 weeks ago, 2 new lenses from Nikon and one from Sigma has been released by the respective lens companies. 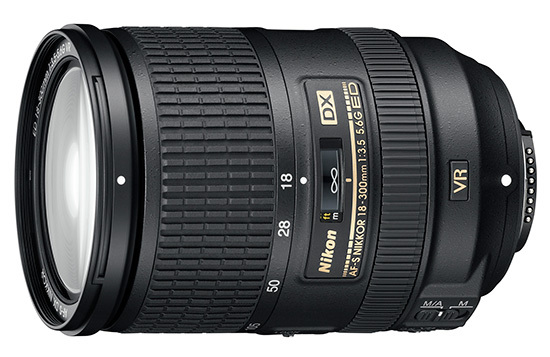 From the focal range itself which is 18-300mm, Nikon have set a new standard and real meaning for super-zoom lens. With the previous super-zoom Nikon produced was 18-200mm; expect this piece of glass heavier than its predecessor by 270g. Unlike the 18-200mm, this is a DX format lens, which means it is designed for Nikon's DX-format camera. Here are the details for this lens. Diameter x length: Approximately 83 x 120 mm/3.3 x 4.7 in. Weight: Approximately 830 g/29.3 oz. The availability for AF-S DX NIKKOR 18-300mm is still unknown but hopefully it will be out by middle or later of 2nd half of this year. That's a little time to save money since this will cost you USD 1,000 or around PHP 42,000 in local currency. That's like buying a new entry level D-SLR.